A focused approach to First Nations public relations and strategic counsel. Posted on July 11, 2008, by admin, under Uncategorized. We’ll be adding images and additional copy over the next week or so. Posted on May 6, 2008, by mleung, under Uncategorized. (Moose Deer Point, ON, May 6, 2008) Community leaders and residents of Moose Deer Point First Nation (located south of Parry Sound) welcomed the Minister of Agriculture, Food and Rural Affairs (OMFARA), the Honourable Leona Dombrowsky to their community today. The focus of the Minister’s visit was tied to her responsibilities for Rural Economic Development and her government’s interest in ensuring the continuing evolution of Niigon Technologies. Established in 2001, Niigon remains Canada’s only QS 9000 registered First Nation owned and operated injection molding facility. As a showcase for manufacturing automation, efficiency, and environmental responsibility, Niigon focuses on the manufacturing of products for the automotive, electronics and food services industries. It sells products throughout North America. Niigon Technologies Ltd. grew out of the shared vision of Chief J. Edward Williams and Robert Schad, founder of Husky Injection Molding Systems Limited, to create a centre for developing highly skilled, knowledge-based career opportunities in the Moose Deer Point community. It is wholly owned by the Moose Deer Point First Nation and all dividends are reinvested into community social, environmental, wellness, and infrastructure projects. The backup power system, which includes a Caterpillar 1200 KVA UPS, will provide a buffer from power surges and voltage flickers. With over 70 power interruptions last year, addressing electricity reliability is critical to reducing feedstock waste and maximizing the performance of the automated systems and specialized equipment. The UPS is expected to substantially reduce production downtime and increase output. 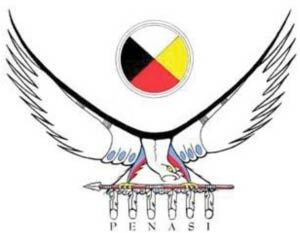 We're a boutique consultancy that offers a focused approach to First Nations public relations and strategic counsel. Honest, friendly, reliable, experienced and knowledgeable, Penasi provides clients with informed hard-working, integrated PR solutions and campaigns. © 2008 Penasi Communications.Web Design by http://summerhilldesign.com - Wordpress - Original Theme by XFEP.